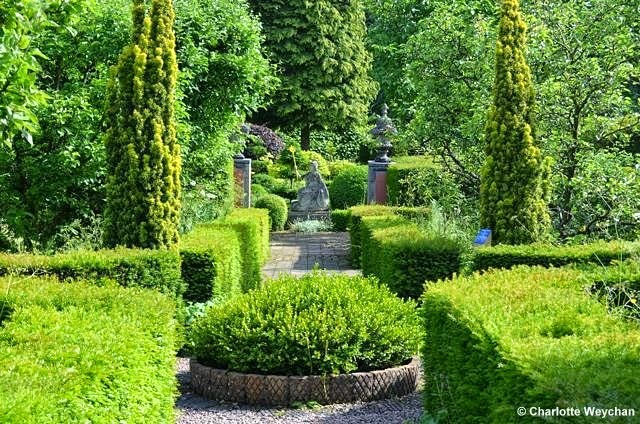 National Trust snubs Sir Roy Strong and turns down his garden. Will The Laskett be lost to the nation forever? The gardening world is so often considered to be gentle and unassuming. We all watch wonderfully crafted television programmes where presenters walk us through other people’s horticultural havens; we listen to Gardeners’ Question Time on the radio and we gloat over gardening magazines that highlight the best possible views of horticultural heavens encapsulated in colourful photographs. 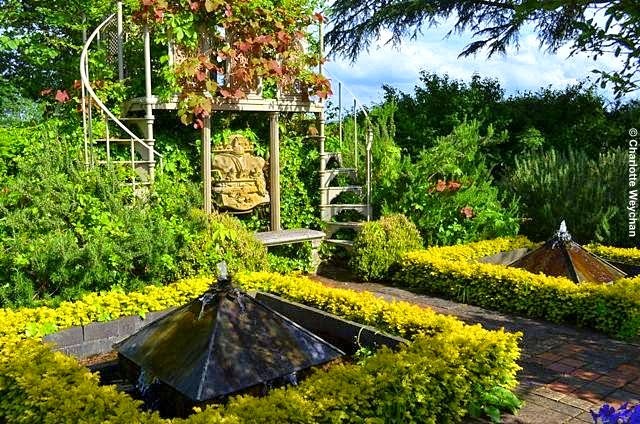 So when Sir Roy Strong announced that he intended to “destroy” his garden – The Laskett – created during a rewarding and enduring 30-year marriage to his late wife, Julia Trevelyan Oman, both press and public reacted with a sense of shock. The news broke in early October with several national newspapers telling readers that the National Trust had turned down Sir Roy’s invitation to leave his garden to them for the nation to enjoy, because it failed to meet "strict acquisition criteria". The gardens at The Laskett in Herefordshire are the largest private formal gardens to be created in England since the end of World War II. Sir Roy had planned to leave the property to the National Trust with a substantial endowment (and to avoid confusion for my overseas readers, it needs to be explained that most properties acquired by this well-known British institution are left on this basis, so that it is not just the property that passes to the nation under their stewardship, but also sufficient funds to make sure that it is self-supporting until the entrance fees make it a viable business proposition). But the National Trust turned his offer down. And, Sir Roy, who is no stranger to the public eye, having been the youngest ever director of the National Portrait Gallery at 32 and who then moved on to redefine the Victoria and Albert Museum as an must-see London venue, rather than a red-brick building housing an extensive collection of artifacts, responded by announcing that his four-acre garden would be “destroyed” one year after his death. With just one year to go before he becomes an octogenarian, Sir Roy is well able to make his own decisions and on hearing that his garden had failed to reach the required standards of “historic and national importance” required by the National Trust, he responded by saying he would extinguish many of the notable garden features that he and his wife had created during their marriage at their Herefordshire home. 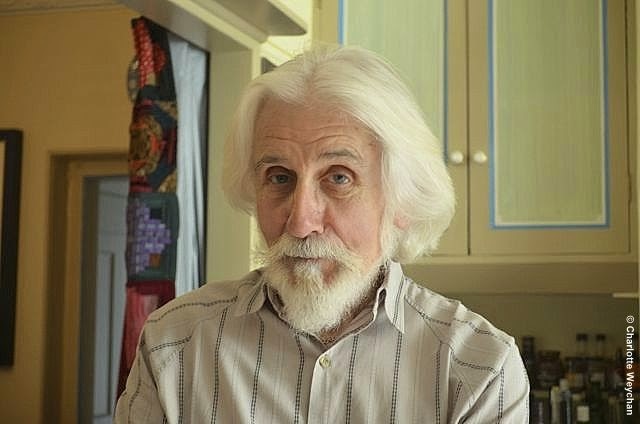 Just before the Sunday Times broke the story, Sir Roy was interviewed on the popular radio programme Desert Island Disks, where host Kirsty Young was able to pick up on some of the feistier aspects of a remarkable man and self-confessed monarchist who has variously “stormed the establishment” and spent the whole of his life “fleeing his family” and humble origins. His determination to succeed guided him into the spotlight throughout his career, and in 1983 he was knighted. Today he is a household name and respected historian, as well as a committed gardener. 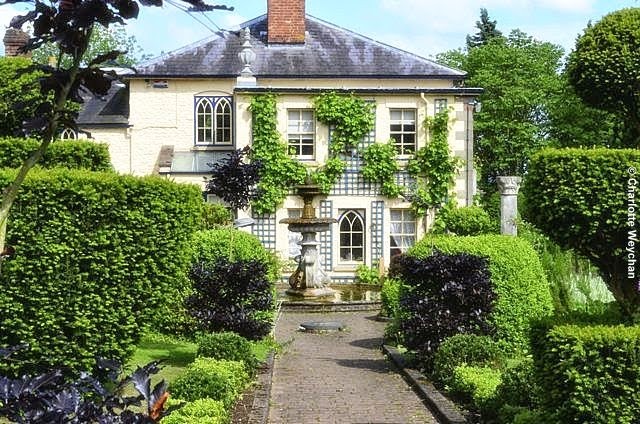 Sir Roy's home at the heart of The Laskett in Herefordshire. It is not open to the public. The Laskett is a garden that rarely opened to the public until Sir Roy felt strong enough to face the world alone as a widower. There are many poignant memories of Julia in the sylvan landscape, including an urn that houses her ashes. But it has rarely been accessible to the general public and when Julia died in 2003, the garden was only on show to the privileged few lucky enough to join private tours. Then Strong decided to live up to his surname and re-invented both himself and his garden, opening his doors couple of years back to groups of visitors. 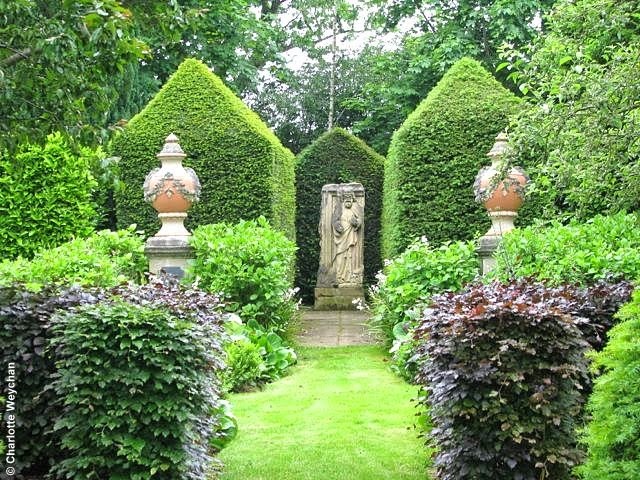 I have visited The Laskett several times and have always enjoyed my forays into the garden. It’s a wonderful eclectic mix of garden rooms interwoven with statuary and artifacts acquired by Roy and Julia during their three decades of marriage. 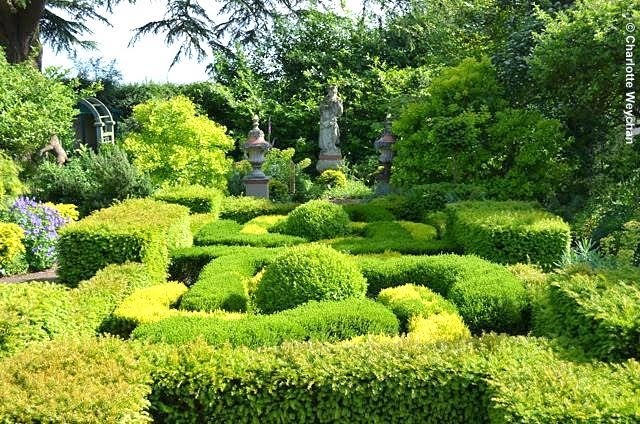 It certainly has its critics, but also its fans including Prince Charles who asked him to become involved with the topiary at Highgrove, where he not only helped to design and style the hedges, but also spent several years cutting and shaping them. Stephen Lacey describes The Laskett as “one of the most important and interesting gardens of the 20th century”. 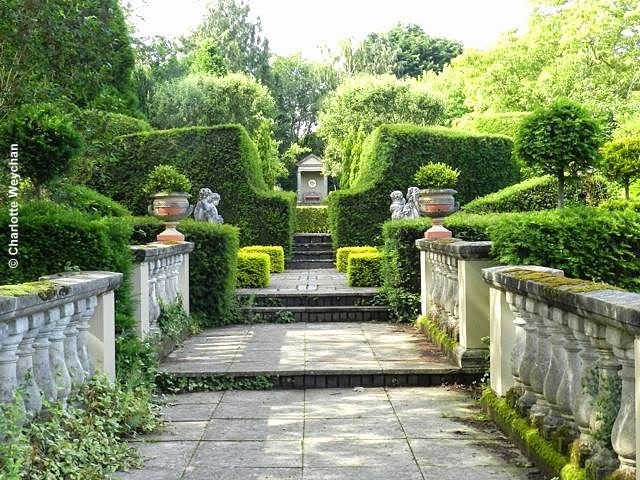 Most garden enthusiasts have heard of the garden and many would welcome the chance to see it, so it is a great disappointment that the nation will not now have the opportunity to enjoy a slice of history created by a venerable historian who is also a household name in Britain. Anne, We know how you feel about this particular garden and thanks for providing the links for my readers. After many years of garden visiting I still think The Laskett is an interesting garden. I have to say I am bitterly disappointed to hear this news. I got the impression that his remaking of the Laskett had more to do with fulfilling some of the demands that the NT might have placed on him in order for them to take it over. It was probably going to be my one and only chance to visit the garden, living as I do in the USA. Let's hope that Strong lives up to his reputation on this too and finds another way of preserving his garden so that the public can continue to visit. There are other means by which the garden could be secured for the future without resorting solely to the NT. 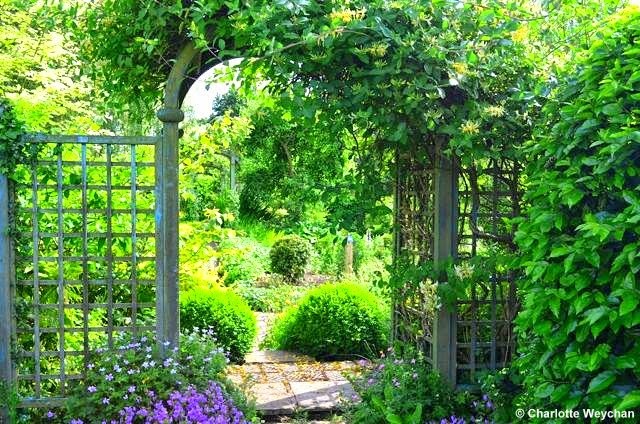 Obviously it is not an historic garden having been created during the 20th century, but it is a garden that would give enjoyment to many people. To destroy what he and his wife spent years creating would be tantamount to vandalism. Time will tell and you can see what other readers think here about possible solutions. It would be a great shame if this garden disappeared forever. I've not visited the garden, so can't comment on its worth, One thing that puzzles me since this brouhaha erupted is why can't the garden be set up as in trust just like Great Dixter? If a 'substantial endowment' was on offer to the NT, it sounds like there are other avenues which could be explored. Agreed VP. Certainly one to put on your visiting list while it's still here though. Wow, what a story! I hope something will be done to save this beautiful and historical garden. Let's wait and see. I think it would be a tragedy to lose this garden, although as you can see, some critics don't agree. We visited The Laskett this summer and thought it is a wonderful garden, which like Highgrove reflects the personality of its owner, what more could a gardener wish for? Sir Roy should set up a trust fund for the garden designed to benefit a favourite charity, this would give the garden a lasting legacy. Living in the US, I missed this news so thanks for the update. I'm currently reading Roy's book on remaking the garden so it is interesting to hear from someone who has actually visited.